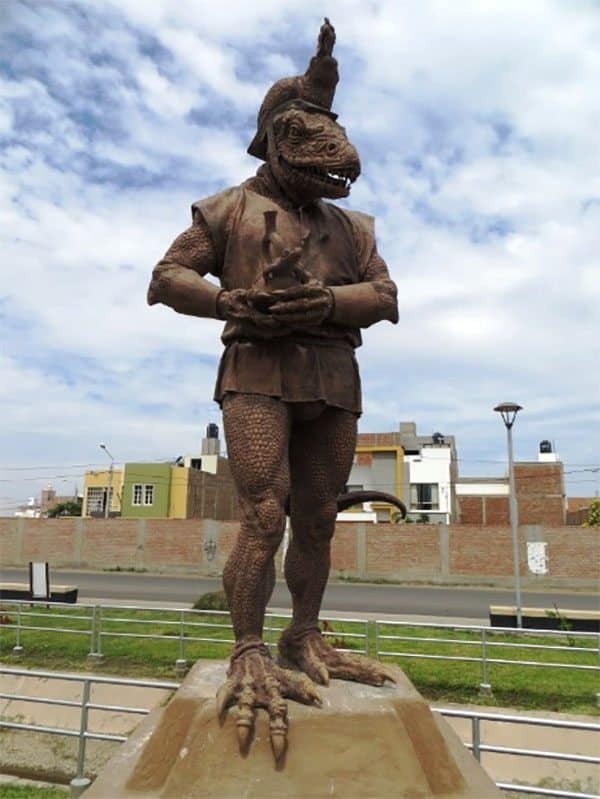 The Peruvian city of Chiclayo has a really weird monument dedicated to the ancient god Morrop the reptilian. In Peru’s fourth-largest city a statue stands tall. The work of art is meant to show the deity Morrop and was built taking into account ancient descriptions of the reptilian god. Some 2,000 years ago, the area of northern Peru was inhabited by the Moche people, a civilization with a rich culture and mythology that continues to baffle us to this day. Case in point, the statue of the decidedly-reptilian god Morrop, the Iguana Man. The Mochicas regarded the Iguana Man as a powerful character who was crucial to their descent into the underworld. Acting as a mediator between the world of the living and the dead, Morrop was equally feared and revered. Taking into consideration everything you know about reptilians, doesn’t it seem strange that the Mochicas chose to associate him with the subterranean realm of the dead? Was this association done by chance or is it a subtle indicator of Morrop’s real nature? South America is rife with legends and depictions of controversial characters that would fit neatly into modern theories about aliens, hybrids and their dealings with the people of Earth. From Viracocha to Quetzalcoatl, the feathered serpent, this continent seems to have had its fair share of age-old extraterrestrial interactions. And this is best reflected in the local attitude towards aliens and UFOs. As a lot of our readers would agree, South America is open-minded and very receptive to the subject of alien visitors. Is this a direct result of their outgoing way of life or simply because their ancestors were in contact with E.T.? As it turns out, the sculpture of the Iguana Man is part of a larger ensemble meant as a homage to the Mochicas’ rich pantheon. 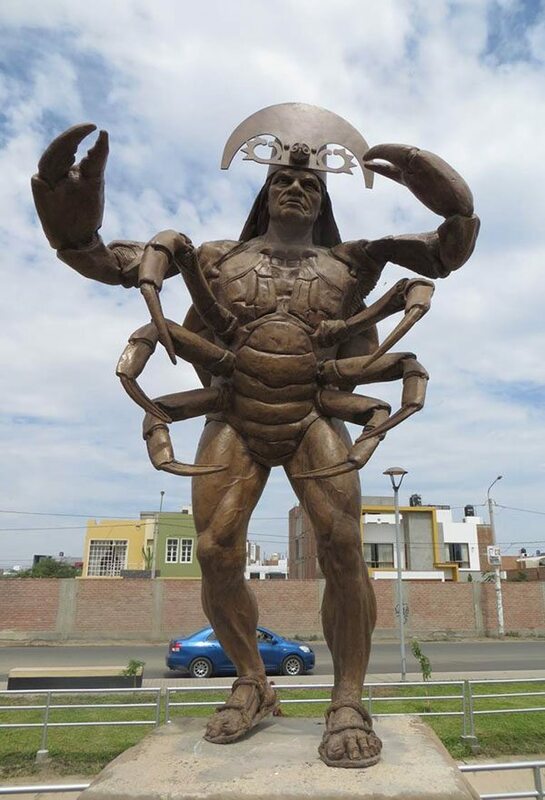 The city of Chiclayo is also home to sculptures of Lang Ñam, the anthropomorphic crab being that guarded the entrance to the sea and its creatures. And you thought Mr. Krabs was bad. Right next to it there is a model of the monstrous Strombus, a creature that is meant to represent the powerful forces of nature the Mochicas had to deal with. So is this collection of strange pieces simply an artistic hat tip to the area’s rich culture and history or was their creator looking to convey a deeper message? Ancient Pyramids found in Hawaii ? !